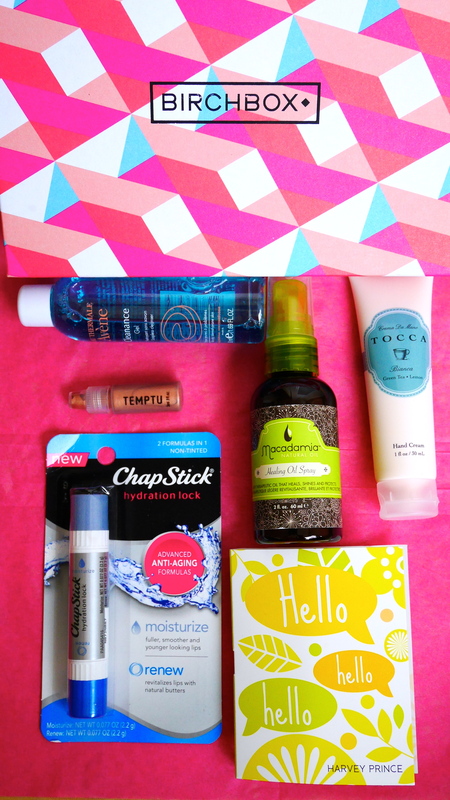 Whoooop Whooooop…….my favorite time of the month when I receive a package from Birchbox. Avene Cleanance Soap Free Gel Cleanser – I have always adored Avene brand and loved their spray water (can’t remember the sophisticated name of it). Anyway yet to try this one, will get back to you in few days. Harvey Prince Hello – Emmmmm don’t know. Smells nice but disappears in an hour. Seriously?! Macadamia Professional Healing Oil Spray – LOVE I have been wanting to try this product for a while and now I don’t know why I waited this long. Easy spray, light weight oil and my dry ends thank me for this. Temptu Highlighter – WHAT? WHY? 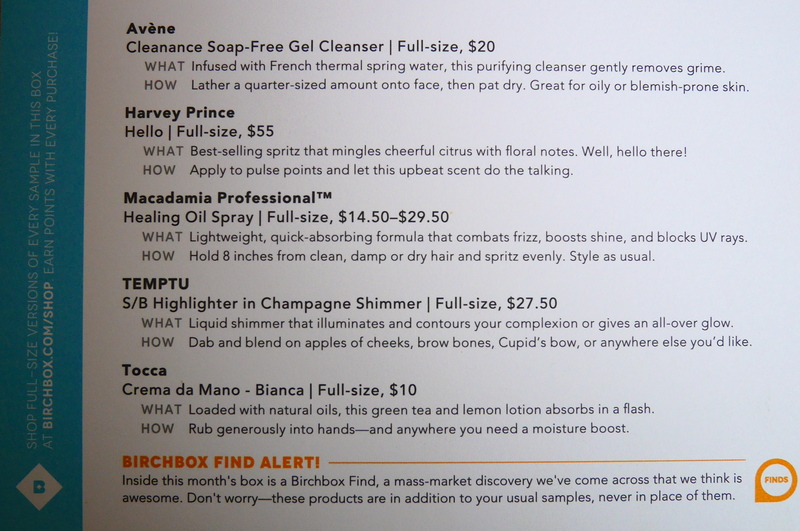 Birchbox seriously look at my profile before you send me stuff like this! This one was epic fail. Chapstick Hydration Stick – I haven’t tried yet, will get back to you and lets see if it makes itself to my Lip Balm Trail. What do you think of this box? Could they have done better? Except the highlighter and perfume everything else was fab!